In 1922, Pearl I. 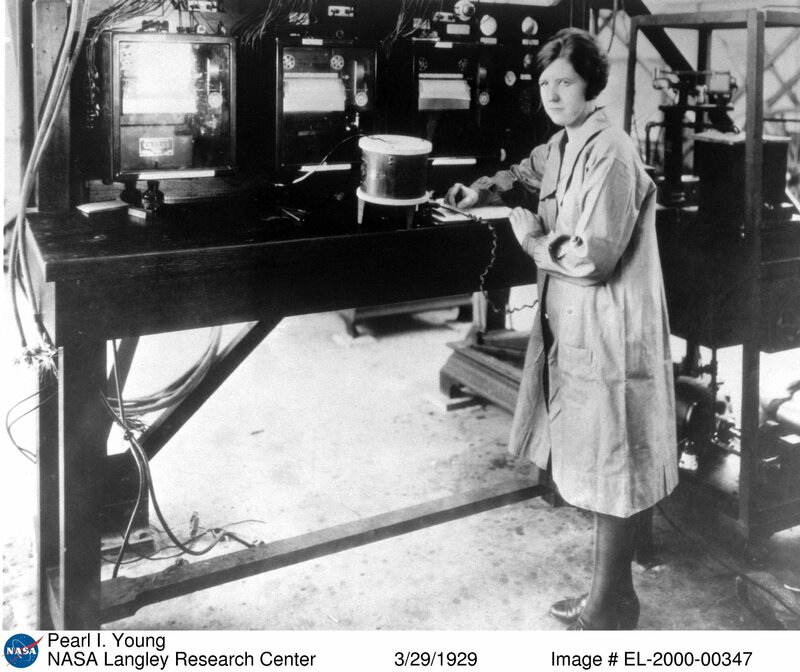 Young (1895-1968) became the first woman hired as a technical employee, a physicist, of the National Advisory Committee for Aeronautics (NACA), the agency that was the predecessor to NASA. 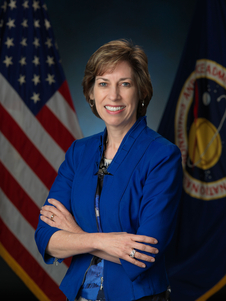 The contributions she made led the way for professional women at Langley Research Center. Pearl Young grew up in North Dakota and left home at age 11 to work as a domestic in order to attend high school. She also worked her way through college, graduating in 1919 from the University of North Dakota (UND) as a Phi Beta Kappa with a triple major in physics, mathematics, and chemistry. Following graduation, Young was offered a faculty position in the UND Department of Physics, where she taught for two years. In 1922 she accepted an appointment at the Langley Memorial Aeronautical Laboratory of the NACA (now NASA Langley Research Center) in Hampton, VA. She became the first professional woman employee at Langley and the second female physicist working for the federal government. In 1929, Young was appointed as Langley’s first ever Chief Technical Editor. Perhaps her most lasting contribution to the NACA and NASA was setting up an editorial office and writing the “Style Manual for Engineering Authors”, a manual that set the format for reports on research conducted at Langley and was subsequently adopted by all of the NACA Centers. Young was also a part-time reporter and feature editor for the regional newspaper, earning a front-page by-line for her interview of Eleanor Roosevelt. Young did not only report on noteworthy people and events. She experienced adventure firsthand, paying $800 for round trip ticket No. 1 on the first flight of the airship Hindenburg in 1936. She was one of the 50 passengers on the airship’s first flight, about a year before it crashed in flames into New Jersey. In 1943, Pearl Young left Langley for the brand-new NACA Aircraft Engine Research Laboratory (now NASA Glenn Research Center) in Cleveland, OH, where she trained the lab’s new technical editing staff. 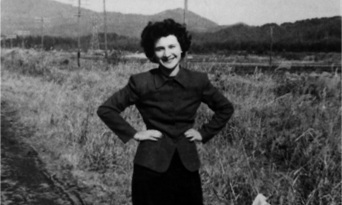 At the end of World War II, Young resigned her post as chief technical editor of the NACA and returned to teaching, accepting a position as Assistant Professor of Physics at Pennsylvania State College (now Penn State University). 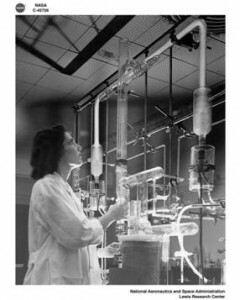 In 1957 she returned to Lewis Laboratory, where she conducted specialized bibliographical work until her retirement from NASA in 1961. As I am sure you have noticed, it’s been a while since we have written. Numerous excuses aside, I am eager to keep this blog going. So, I hope you check back as often as you have in the past! Today, I had a vision for this blog. I decided why must we only honor women in history during one month out of the year? Why not showcase their work and respect them year round? And that’s exactly what I am going to do! I shall call it our “Women in History Shout Out” and post at least one every week. It’s meant to be short and informative. A quote, a one to two liner about her, and a picture. Hope you enjoy! Marie Curie (1867 – 1934) was a physicist and chemist who made major discoveries in the field of radioactivity. She was the first person to win two Nobel Prizes and the University of Paris’ first female professor. 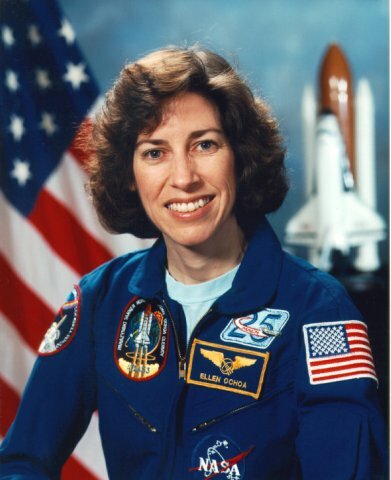 (1951- ) Former astronaut and first American woman in space. 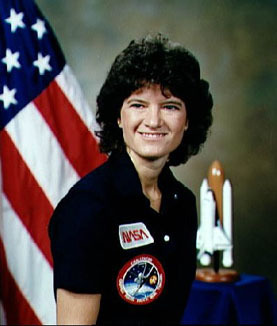 Dr. Sally Ride was selected as an astronaut candidate in 1978 and flew for the first time in 1983. After retiring from the astronaut corp, Dr. Ride joined the University of Califorinia at San Diego as a professor and started her own organization called Sally Ride Science to encourage young girls to enter science, math, technology, and engineering fields. (1956- ) American physician and former astronaut who became the first African-American woman in space in 1992. 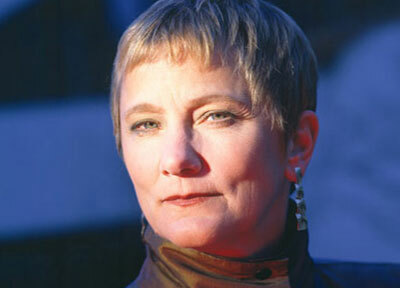 She left NASA in 1993 to start her own company on adapting technology to daily life. 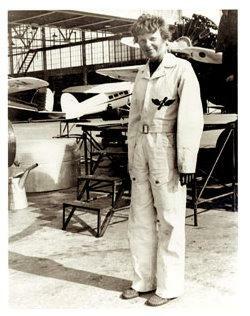 (1897-Unknown)-Ms. Amelia Earhart was the first woman to make a solo flight across the Atlantic, May 20-21, 1932. The aircraft crew’s flight made headlines around the world since three women had perished within the same year attempting to be the first woman to accomplish such a feat. When the crew returned to the US, they were greeted with a fitting ticker-tape parade in New York City and a reception hosted by President Calvin Coolidge at the White House. It was, indeed, a momentous occasion. Ms. Earhart, among other notable recognitions, was also the first woman to make a solo round trip of the United States. Sadly, Ms. Earhart and her navigator, Fred Noonan, disappeared on July 2, 1937 over the Pacific Ocean while on an around-the-world flight. A national rescue attempt was instigated immediately, according to the official Amelia Earhart website. It remains the most extensive air and sea search in naval history. On July 19, despite $4 million spent and 250,000 square miles of ocean scoured, the US government reluctantly retreated.